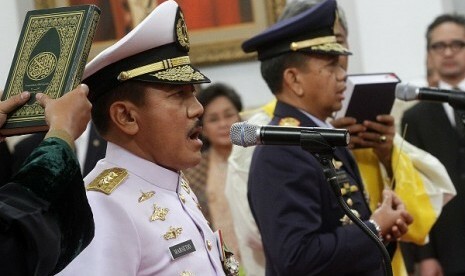 "The ship, weighing 82 GT, was secured, as it was carrying 546 pieces of ceramics that were allegedly retrieved from the ocean floor, without seeking legal permission," Spokesperson of Tanjung Pinang VI Naval Main Base Major Josdy Damopolii stated here on Wednesday. The ceramics, recovered from the seabed of the Mapur waters, were believed to be from the Ming Dynasty. "The officers are still investigating the case," Damapolii noted. He further added that there might be other ships involved in this illegal treasure hunt operation. The treasure raider ship was commanded by Salman Lubis and has eight crew members and five passengers on board. Besides the ship, the Navy also confiscated diving equipment such as a compressor, goggles, a diving suit, and a 300-meter long hose for delivering oxygen. The ship was escorted by the KRI Teluk Gilimanuk 531 warship to the Tanjungpinang IV Naval Main Base for further investigation.